It's Just Mobolaji | Music & Entertainment: Event: The Drop @ Proud Camden, 4th February! 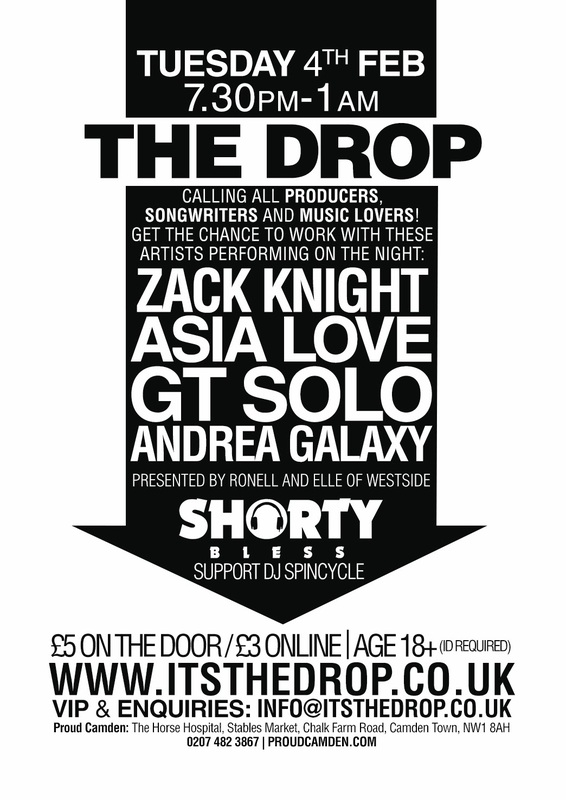 Event: The Drop @ Proud Camden, 4th February! ‘The Drop’ will be taking over London's Proud Camden tomorrow with this new monthly event. This one-of-kind platform showcases artists, producers and songwriters and consists of three key elements; The Showcase, The Search and The Party. Advanced tickets are priced at £3 (online), with general admission (on the door) tickets priced at £5 and can be purchased via ticketweb here: http://www.ticketweb.co.uk/artist/the-drop-tickets/485043 this is an 18+ event and ID will be required for entry.